Our inspiring and engaging retreat programs provide practical solutions for reducing stress and enhancing wellbeing. A variety of health promoting modalities are introduced to provide your team with a valuable skills base to recharge, nurture and inspire . Your staff will return to work with a greater understanding of work/life balance and will be well equipped with valuable stress management tools to incorporate into their busy lives. Our programs and Retreats are ideal for team building, uplifting morale and inspiring creative innovation! Research has shown that wellbeing sessions not only support the holistic wellbeing of staff, but also the financial benefits to the companies. Being active and addressing the issue of stress in the workplace before it effects your organisation is an effective way to maintain a happy and healthy work environment. Our Wellbeing Strategies support corporate organisations to create mentally healthy workplaces and assist staff to cope with stress, optimise productivity and realise their potential. The programs introduce mindfulness and the science of this important business skill to improve mental focus and concentration, providing practical sessions for the benefits to be experienced. Your team will learn to recognise their symptoms of stress and how to implement valuable coping strategies as well as be supported with practical wellness techniques to maintain ongoing holistic wellbeing. 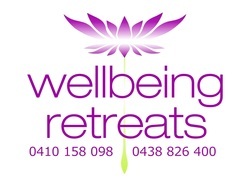 At Wellbeing Retreats one of our areas of expertise is supporting Health Care workers to value the importance of self care and minimise compassion fatigue and 'burnout'. Compassion fatigue is common in the caring industry, with professionals often overwhelmed by the demand for their services and the extent of community needs. 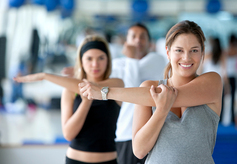 Our Wellbeing programs encourage authentic self care practices to maintain balance and to renew and restore vitality. The sessions assist your staff to understand the importance of self care to build resilience and sustain a healthy, fulfilling work environment. * Stress is one of the biggest work related health costs for employers. * Research shows that 75% of all the time lost in the workplace is stress related. * 1 in 10 workers are effected by on the job anxiety, depression and stress. * Relaxation is important for healthy, happy staff and a successful team! Relaxation is important for healthy, happy staff and a successful team.